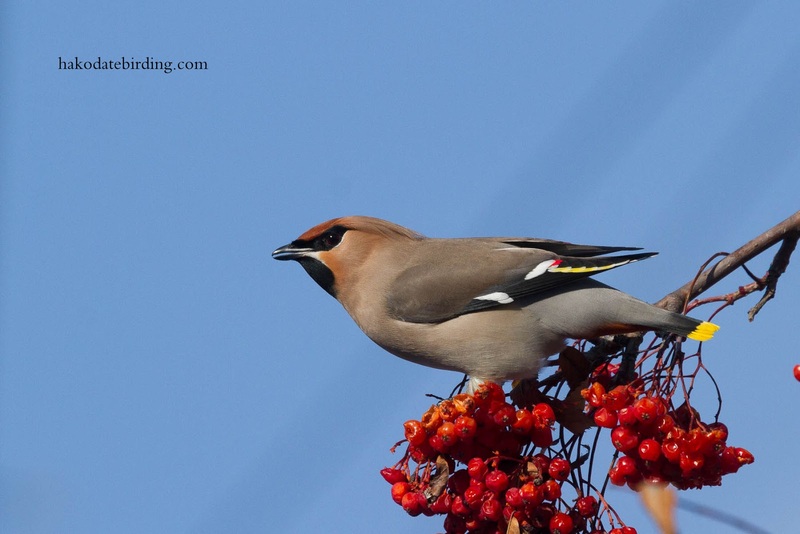 I had a couple of free hours this afternoon so I took a short walk to check if any waxwings were around. There were. Loads of them. There must have been several hundred of them. 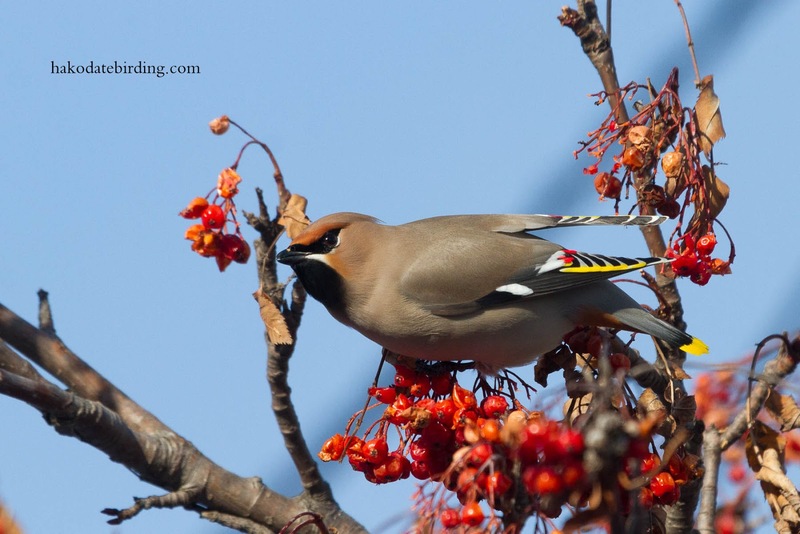 Mainly Bohemian Waxwing (all the birds in these pics) but with a few Japanese Waxwing too. Also buzzing around were large numbers of Dusky Thrush with at least 1 Naumanns Thrush (a Hakodate tick for me). 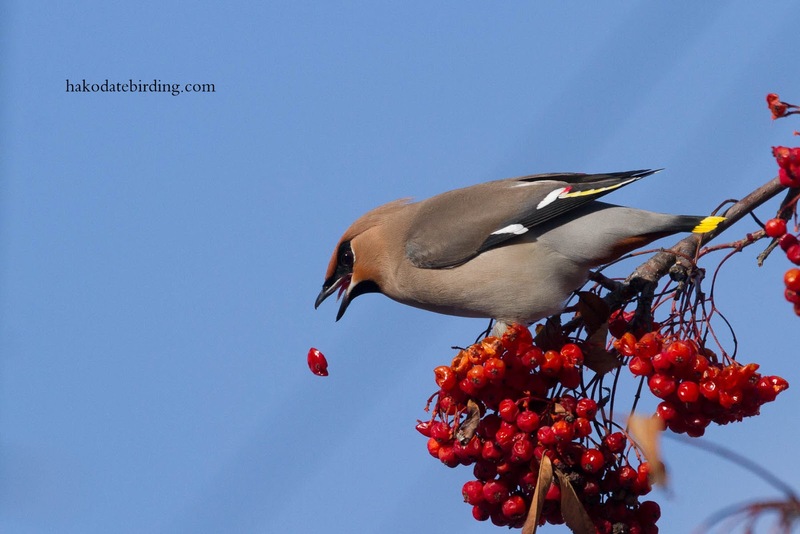 Hawfinch, Brambling and Grey Starling. I may try my luck with them at the weekend, time and weather permitting. The Premier League? Can Liverpool possibly, maybe, perhaps.......................? 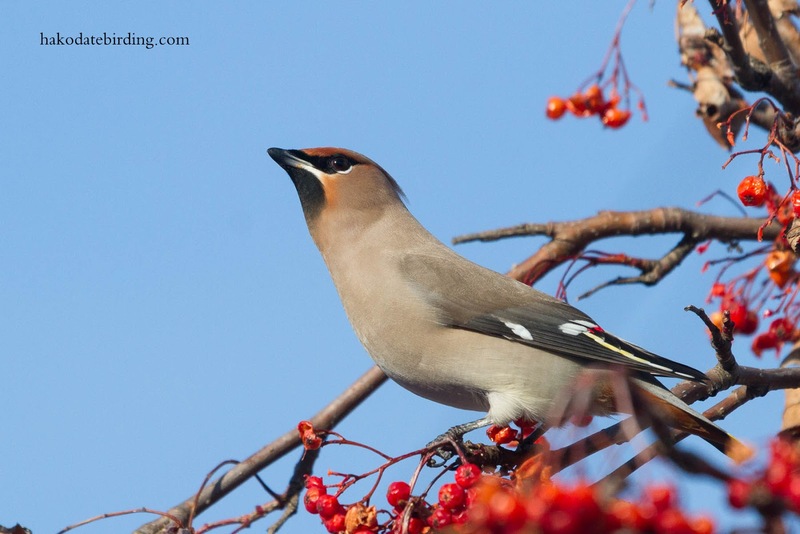 HI Stuart Waxwing heaven. We have not had any here this year. Oh! Beautiful Diagonal　Formation 3-4-4! 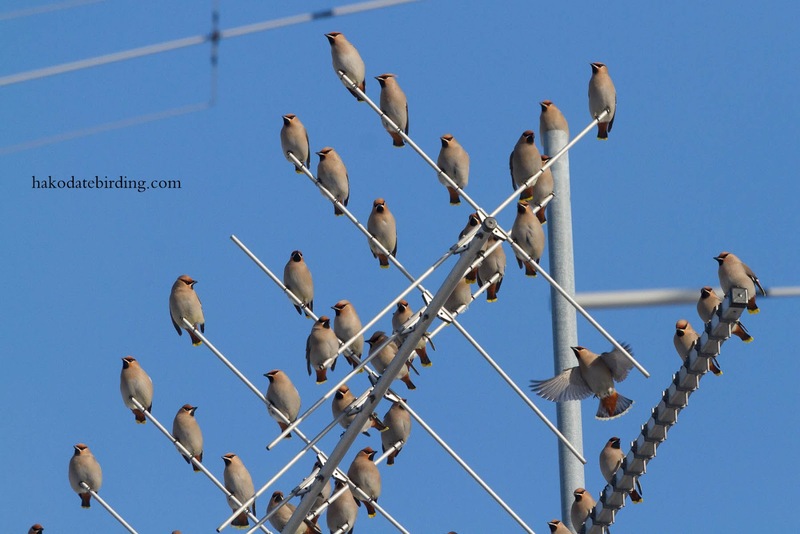 Thank you for linking with my blog! I will link with the blog of Stu. 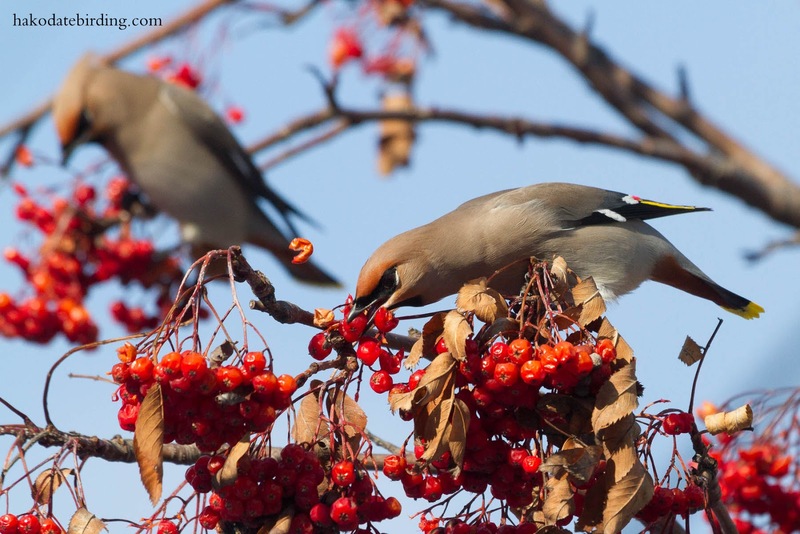 Are they tossing out the berries they don't like? 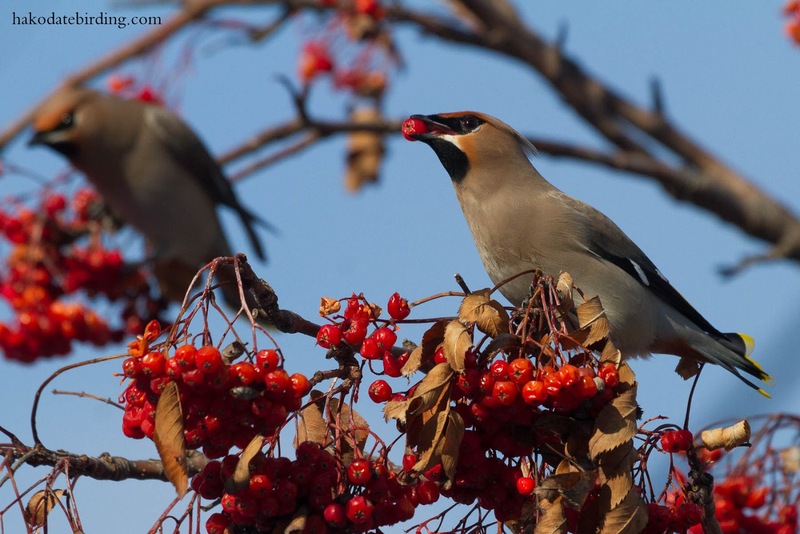 No waxwings in Belize, but no snow either, so I won't complain. Especially when you post such beautiful shots. Cheers. Some lovely shots here. Congratulations on the Naumann's Thrush too. 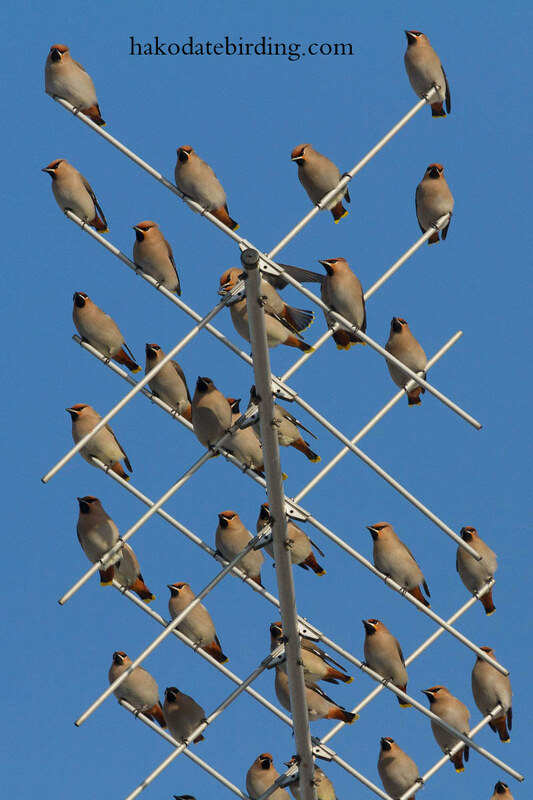 So many Waxwings. I was so excited seeing three last year. I hope I can see one this year. Hi Russell, they are pretty unpredictable, there are lots more than last winter that's for sure.